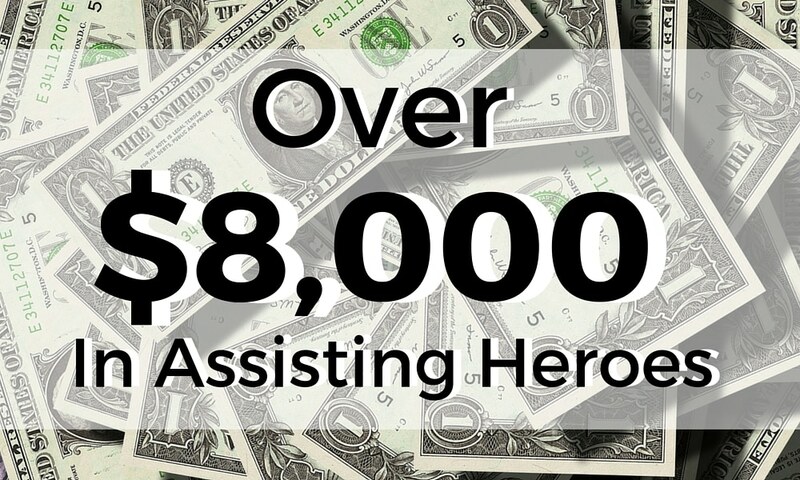 The month of June was a great month for the Homes for Heroes® Foundation and those it serves. After all of the numbers were submitted and added, the foundation was able to provide over $8,920.15 in assistance to those in need. Anonymous, a veteran with two children from Lakewood, Va, received $1,777 for her first month of rent. Danielle Whitfield, a disabled veteran with four children from Hinesville, GA, received $1,200 to pay her first month of rent (HUD VASH). Pamela Louis, a disabled veteran from Ruther Glen, VA, received $1,103.50 for rent to avoid eviction. Anonymous, a disabled veteran from Avondale, AZ, received $1,000 to pay her rent. Steve Runion, a disabled veteran from Hinesville, GA, received $977.48 for his mortgage payment. Jonathan Holt, a disabled veteran with four children from OKC, OK, received $795 to pay rent. Nicole Jones, a disabled veteran with three children from Buckeye, AZ, received $750 for her security deposit. Mike Morris, a VA disabled veteran from Fredericksburg, VA, received $708 to pay two months of rent and avoid eviction. Ted Jeffries, an unemployed disabled veteran from Hinesville, received $609.17 to pay a past due utilities bill.